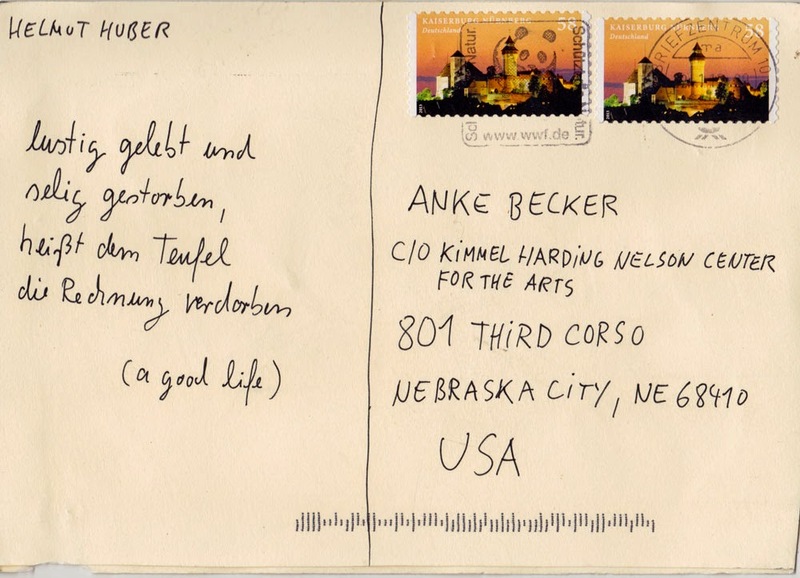 A postcard from HELMUT HUBER, sent from Berlin, Germany. 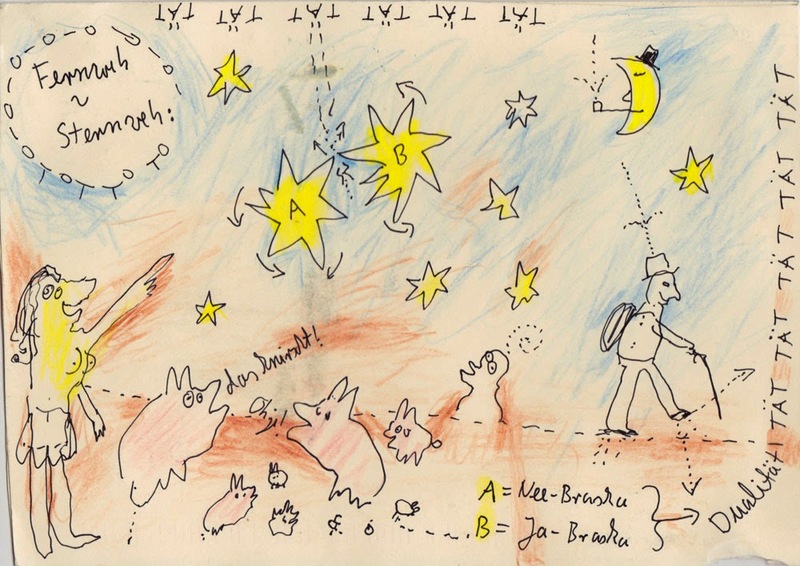 Helmut's drawings often come along with very beautiful plays on words. Tricky to translate! "Fernweh-Sternweh" Fern = engl. afar / weh= a painful longing / Stern = engl: Star. "Sternweh" = engl. longing for the stars. A genuine Helmut Huber word-creation! "lived gay and died blessed, that means to spoil devil's check"